Breathe Easy is a true calving ease bull with low birth weights on both sides of his pedigree. 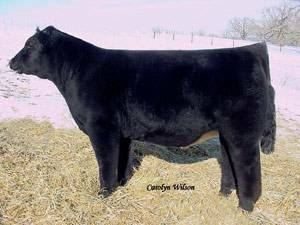 On top of that, this bull has the genuine makeup to construct some of the best females introduced into the club calf industry for a long time. His dam, Harrietta, has absolutely been the most prolific who made who female of all time, and sired by the great Ali, should ensure this to be carried on throughout Breathe Easy’s progeny.